This month's challenge over at the Inspiration Journal is "Go Green." Anything goes as long as it's green, Green, GREEN! I love the color green, not because it's my name, but because there are so many shades OF green that are pretty. You can't say that about every color. You know? And after seeing some of those beautiful creations at the Inspiration Journal blog, I was inspired! (Gee, I guess that's exactly what's supposed to happen, isn't it?) Anyway, I decided on a tag with a St. Patty's feel naturally. 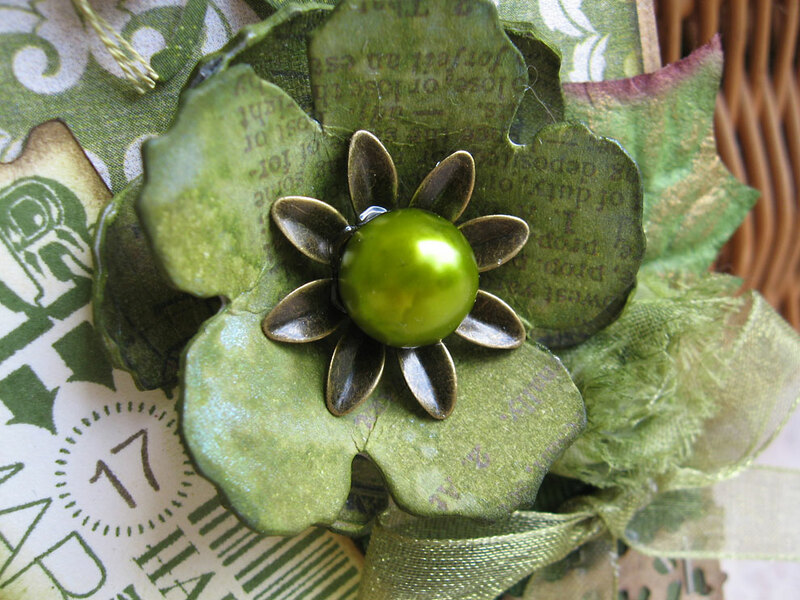 What better excuse to make an Irish friend something pretty and green! Using Tim Holtz's Tag & Bookplates Sizzix die, I cut the large tag from Kraft Kore card stock. I recently purchased an 8 x 8 pad of Fabrications paper by Teresa Collins and I am totally loving it! 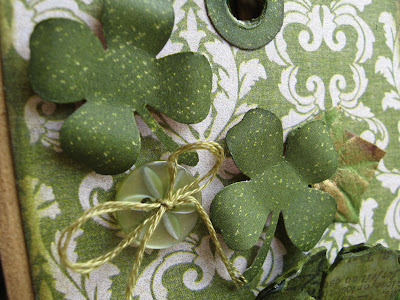 The background papers, including the punched shamrocks come from that paper pack. I used my trusty Martha Stewart punch for the shamrocks, and finished off the tag with a few Close To My Heart buttons, embroidery floss and their new color-ready seam binding ribbon at the top of the tag which I colorized with a combination of Lettuce alcohol ink and some random spritzing of Meadow Color Wash spray. Needless to say, my fingers and fingernails are a lovely shade of green today. Hope you enjoyed this post. Thanks for stopping by. Lots more coming up in the days ahead. 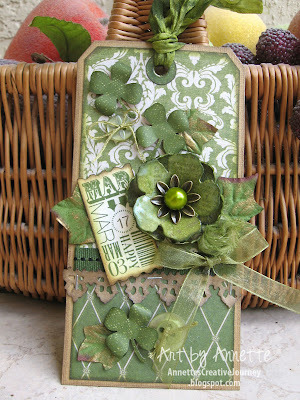 I love this - the shamrocks are fantastic! no, it's all fantastic! I can't believe I've only just found ths challenge - hope to join in with you all soon. I love this, Annette! Green is my favorite color too! This tag is just gorgeous!! This is so beautiful, Annette, but you forgot to get my address so you could send it to the right friend! Your tag is very lovely...I love all those many shades of green. This is a beautiful tag, Well done!!! Gorgeous tag, Annette!! Your composition is always perfect - love everything about this! April Stamp of the Month Blog Hop - "You Are..."
Day 7 and some winners! Day 6 and a Celebratory Give-Away! 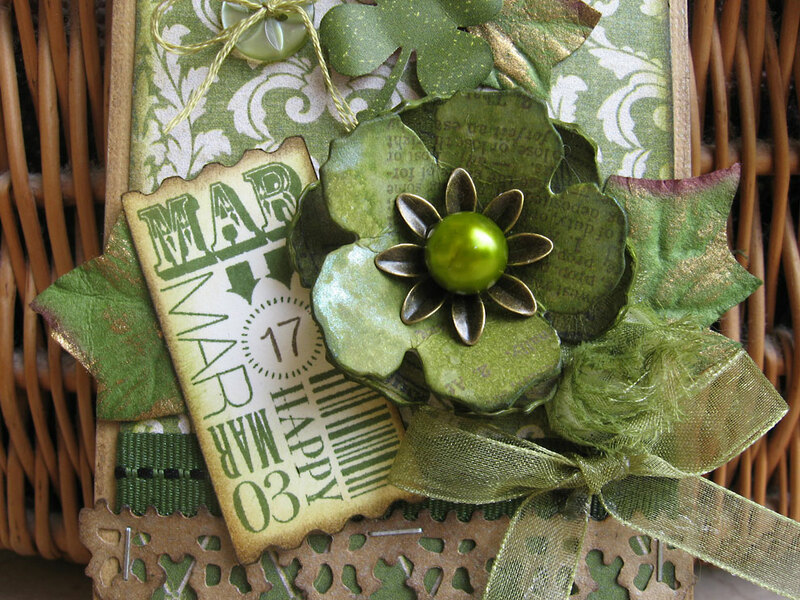 March Kit of the Month - "Florentine"